By the latter part of the 19th century however, Sigmund Freud would revolutionize the world of dreams and dream interpretation with his radical new ideas incorporating dreams and deep seated childhood fears. Born in 1865, Sigmund Freud revolutionized the world of psychiatry and dream interpretation with his seminal work “The Interpretation of Dreams”. Freud started to analyze the dreams of his patients and he used this dream analysis to diagnose and treat their psychiatric ills. Freud also studied dreams as a way to understand certain aspects of the personality especially those aspects that lead to psychological problems and disorders. 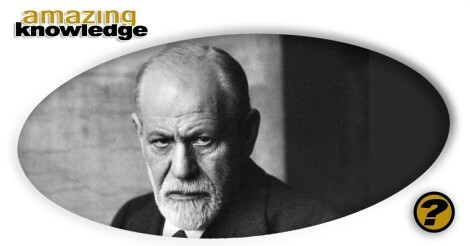 Freud believed that nothing that human beings did happened by chance and that every action, no matter how small or seemingly trivial, was at some level motivated by the unconscious mind. Of course in order for a civilized, modern society to function certain primal needs and desires must be repressed and Freud’s theory was that these repressed urges and desires were released by the unconscious during dream sleep. Doctor Freud saw dreams as a direct connection to the unconscious mind and he studied that connection through the interpretation of symbolic objects found in dreams. The theory was that with the conscious mind acts as a guard on the unconscious preventing certain repressed feelings from coming to the surface. During sleep however, this conscious guard is absent and the subconscious mind is free to run wild and express its most hidden desires. Freud was especially interested in the sexual content of dreams and he often saw ordinary objects in dreams as representations of sexual desire. To Freud every long, slender item encountered in a dream, from a knife to a flagpole, was a phallic image while any receptacle such as a bowl or vase represented the female genitalia. This entry was posted	on Tuesday, January 29th, 2019 at 5:10 pm	and is filed under Knowledgebase. You can follow any responses to this entry through the RSS 2.0 feed. You can skip to the end and leave a response. Pinging is currently not allowed.